2 images. City of Hope "Award Dinner", 26 October 1951. 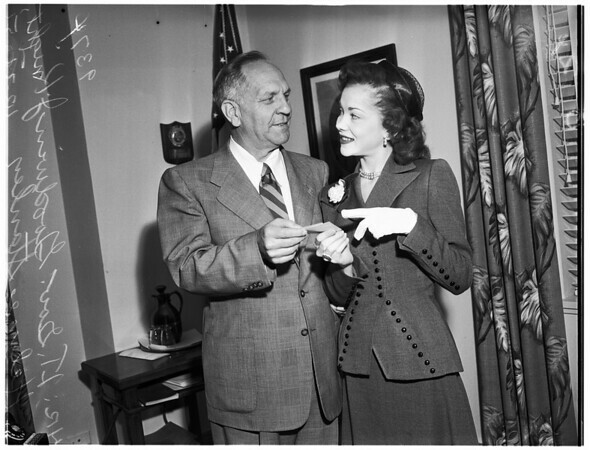 Lieutenant Governor Goodwin Knight, receives bid from: Helene Stanley, actress.